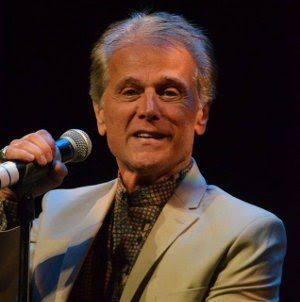 Gary DeCarlo, the man who sang Na Na Hey Hey Kiss Him Goodbye with Steam, has died after suffering from cancer at the age of 75. It was just over a year ago when a GoFundMe page was posted to help Gary and his family with the costs of treating lung cancer that had spread throughout his body. DeCarlo was in hospice care at the time of his death. He had also recently broken his shoulder. The singer had previously worked with Dale Frashuer and Paul Leka in a group called the Glenwoods in the mid-60's but the musicians soon went their separate ways to different parts of the music business. In 1969, Leka, who had success writing songs like Green Tambourine, brought DeCarlo to the attention of his bosses at Mercury Records and they set about recording a number of songs. One needed a b-side and DeCarlo and Leka, along with former associate Fashuer, wrote the song Kiss Him Goodbye. As was normal in the day, the b-side was seen as a throwaway song, but a DJ in Georgia liked what he heard on the flipside of the single and played it on his show. The phone lit up and the sparks of a new hit were lit. There never really was a group Steam. The name was made up for Mercury and the three studio musicians went in to record an entire album under the name but nothing ever caught on and, to make matters worse, the label assembled a totally different group to tour behind the song. The three once again went in other directions and Steam faded away as one of the great one hit wonders. Last year, DeCarlo told the Connecticut Post of his frustration. "I remember driving to the railroad station hearing the song on the radio and just wanting to yell out the window 'That’s me! '..I fell into a deep depression." DeCarlo tried to stay in music over the years but it wasn't until PBS called for their special My Music: '60's Pop Rock and Soul that it all came back together. The broadcast rekindled his career and, in recent years, DeCarlo has been performing with his group Heat, even rerecording Kiss Him Goodbye for his 2014 album Long Time Comin'.